Posted: August 26, 2015 in Cuba Terror, Florida Terror, GITMO Terror, Hurricane Terror, Jihad Terror, Man-Made Hurricanes, Terrorist Invasion of U.S.
SWITZERLAND, Zurich — Unable to stage a terror-related attack on Guantanamo Bay Naval Base (GITMO) in Cuba, it now appears that the Obama administration (at the behest of the CIA in Switzerland) is plotting a man-made hurricane strike on GITMO in order to free the terror detainees so they can invade and terrorize the continental United States. The notion of a hurricane striking GITMO was highlighted in a Slate magazine report from September 11, 2008, entitled “Ike Goes to Gitmo”. The report posed the obvious question: “What happens to the detainees when a hurricane hits Guantanamo Bay?”. Among other things, the report stated that Hurricane Gustav and Ike hit GITMO and that “The military maintains that the facilities currently housing the prisoners are capable of withstanding anything up to a Category 2 hurricane”. Consequently, a category 3 hurricane or higher could theoretically free the terror detainees. As depicted in the October 25, 2012, Miami Herald report entitled “Hurricane Sandy Damages War-Court Compound, Cancels Hearings”, GITMO was struck for a third time, this time by Hurricane Sandy. Needless to say, a fourth man-made hurricane strike on GITMO will likely be fatal. It is imperative to note that since Truther.org began exposing man-made hurricanes back in 2012 (i.e., 2012 Jamaica Hurricane Plot, 2013 Miami Hurricane Plot, etc. ), only Hurricane Sandy has struck land, despite the dire warnings that 2012 and 2013 would be record years for hurricanes. In order to hype hurricanes just prior to another man-made hurricane strike, President Obama will visit New Orleans on August 27, 2015 for the 10th anniversary of Hurricane Katrina. Also, Fox News will do a special on Hurricane Katrina, highlight hurricanes on a national level just prior to a redux-like attack. Although a man-made hurricane attack on Cuba is the most likely scenario, the city of New Orleans and the state of Texas could be targeted as well. Considering that Texas is currently suffering operation JADE HELM 15, a hurricane strike on Texas would likely bring with it an army of ISIS-inspired terrorists. Based on the curious nature of Hurricane Danny, it may be the man-made hurricane slated to attack Guantanamo Bay Naval Base (GITMO) in Cuba. Back on August 21, 2015, it was reported that Hurricane Danny became the first hurricane of Atlantic season. Interestingly, the very same day, Hurricane Danny suddenly strengthened into a Category 3, a very unnatural feat. Nonetheless, three days later, Hurricane Danny was officially declared dead on August 24, 2015. Consequently, the bi-polar nature of Hurricane Danny suggests that it may suddenly form once again, striking Cuba and/or the United States. The term “global warming” appears to be cover for man-made weather attacks which turn once peaceful communities into obliterated war zones. The reality is that billions of gallons of aluminum dioxide and barium salts are being dumped into our atmosphere on a daily basis via cloud seeding and chemtrails yet humanity is supposed to believe that “global warming” is a natural phenomenon caused by greenhouse gasses? Global warming is nothing more than a colossal hoax which essentially gives the government carte blanche to execute bigger and stronger man-made weather attacks while conveniently scapegoating global warming. In the aftermath of man-made weather attacks, the public usually blames God or Mother Nature while the government actually responsible for the disaster gets to step in and play the heroic savior by handing out food, water and shelter to the people fortunate enough not to perish in their cowardly attacks. Back on July 21, 2013, it was reported that the CIA has backed a $630,000 study into how to control global weather through geoengineering, also known as man-made weather modification. Although governments would like the public to think that they are trying to figure out how to manipulate the weather, there is a wealth of evidence (see chapter #3) which indicates that they have been creating “natural disasters” using explosives and cloud-seeding for quite some time now. In an ominous sign that martial law will be enforced in the aftermath of a man-made hurricane attack, Politico published a report back on November 12, 2012, entitled, “Climate Change Triggering National Security Threats”. Among other things, the report stated that “Climate change will likely lead to more frequent extreme weather events as well as droughts and floods, triggering serious social and political disruption that poses a potential threat to U.S. national security” and that “…unpredictable weather events are increasingly damaging and could ultimately prove a security risk”. It’s no secret that the Obama administration has been desperately trying to trigger a martial law scenario which would inevitably lead to civil-war; a man-made hurricane attack may just do the trick. Propaganda that “global warming” spawned hurricanes will eventually destroy a major U.S. city is getting louder and louder. Back on November 13, 2012, Newsmax published a report entitled “Time to Face Global Warming Time Bomb” which stated that climate change is accelerating and that Hurricane Sandy was only the beginning of global warming spawned hurricanes. According to the report which cited a 206 page study by the National Research Council (NRC), the nation’s principal scientific research body, the notion that U.S. coastlines will be targeted with unprecedented global warming events is “no longer idle scientific speculation”. The NRC study warned of “catastrophic over-the-horizon events of much greater magnitude than Sandy‘s destructive impact that left thousands homeless as houses snapped like firewood”. Prior to a major man-made hurricane attack, the academic community must first manufacture evidence to back up the impending government claim that global warming was in fact responsible. Back on May 11, 2013, a study entitled, “More Hurricanes to Hit Western Europe Due To Global Warming”, was published. As is usually par for the intelligence community, terror propaganda is disseminated in respect to Europe for terror related events which usually transpire in America at a later date. According to the study, “The rise in Atlantic tropical sea surface temperatures extends eastward the breeding ground of tropical cyclones, yielding more frequent and intense hurricanes…model simulations clearly show that future tropical cyclones are more prone to hit Western Europe, and do so earlier in the season, thereby increasing the frequency and impact of hurricane force winds.” Needless to say, if Europe is at risk of hurricanes, the threat to Florida must be off the charts. In calculated move to limit both aerial coverage and witnesses during an explosive driven man-made hurricane attack, back on July 18, 2013, it was reported that federal budget cut may ground “Hurricane Hunter” aircraft which will deprive forecasters of real-time measurements of storms during 2013 Atlantic hurricane season. Although the National Oceanic and Atmospheric Administration (NOAA) operates some of the modified C-130 “Hurricane Hunters”, most of the planes which gather vital information on the position, strength and direction of hurricanes are flown by the Air Force Reserve’s 53rd Weather Reconnaissance Squadron based out of Biloxi, Mississippi. Brian McNoldy, a senior research associate at the University of Miami’s Rosenstiel School of Marine and Atmospheric Science, stated that “Not having aircraft data for a storm near land could have a very real and very negative effect on the accuracy of forecasts”. McNoldy stated that he hopes the hurricane specialists at National Hurricane Center (NHC), “never have to make a forecast and issue watches and warnings on a significant tropical cyclone threatening land areas without aircraft reconnaissance”. By defunding the Hurricane Hunters, it allows both the media and the public to politically scapegoat President Obama in the aftermath of the hurricane, ultimately drawing attention away from the fact that the hurricane was man-made to begin with. In yet another calculated move to give the U.S. federal government to gain plausible deniability in the aftermath of an unprecedented man-made hurricane strike, it was reported on May 26, 2013, that the National Oceanic and Atmospheric Administration’s (NOAA) satellite designed to track hurricanes in the U.S. has failed on the eve of the 2013 Atlantic hurricane season. The failed NOAA satellite is outfitted with technology that monitors and tracks developing storms over the entire Atlantic seaboard which is then used in determining threats to cities along the U.S. coastline. According to the report, the first sign of trouble with GOES-13 satellite emerged on May 22, 2013, when it failed to relay expected weather images. NOAA announced that a spare satellite had been activated while attempts to fix the failed one continue, but added there was currently “no estimate on its return to operations”. If a second satellite fails, NOAA would operate its remaining satellite to get a full view, but only every half-hour. Similar to the grounding of the C-130 Hurricane Hunters, the limited satellite coverage appears to be cover for a man-made hurricane strike. In other words, the U.S. government wants to limit and control the respective weather agencies and technology which is responsible for watching the natural and unnatural formation of hurricanes which may or may not exist. 2.3: Tsunami Bombs Dropped on New Zealand? In yet another sign that most major earthquakes are indeed man-made, on August 8, 2013, it was reported that Japan’s Meteorological Agency was investigating itself for a fake earthquake warning after it issued an alert for a 7.8 magnitude earthquake which only resulted in a minor 2.3 magnitude earthquake. According to the report, an all-out alarm sounded, including cellphones and TV warnings, just before 5 PM Japanese time, warning that Japan should prepare herself for a massive quake. However, the major quake never came, only a small 2.3 magnitude earthquake. How any government agency, earthquake or otherwise, is able to know beforehand when an earthquake will strike and how big it will be without somehow being responsible for initiating it defies logic. In the aftermath of the false alarm, news reports stated that the earthquake agency blamed electronic noise for triggering the false alarm. UPDATE: Roughly 24 hours after the following false-flag hurricane warning was published, Tropical Storm Dorian allegedly formed in the Atlantic. Based on early storm tracking images, it would appear that the storm is headed directly for Southern Florida, possibly Miami or the Florida Keys. SWITZERLAND, Zürich — Based on breaking news and events, it now appears that an unprecedented man-made “global warming” blamed hurricane is planned for the state of Florida, namely the city of Miami. A major false-flag hurricane strike on Miami would most likely cause a Fukushima-like nuclear disaster at the Turkey Point Nuclear Reactor just south of Miami, completely bankrupt the state of Florida due to an insolvent government run hurricane insurance program, spawn a biological outbreak which could easily morph into the global pandemic planned for 2013, and create a scenario whereby President Obama would enact martial law. Roughly a year ago on August 10, 2012, Truther.org released a terror warning entitled, “Jamaica Set-Up For False-Flag Global Warming Attack”, which exposed how the Caribbean island had been set-up for an unprecedented man-made “global warming” hurricane attack. Although the man-made hurricane strike on Jamaica was apparently foiled, almost all of the red flags identified in the hurricane plot have recently surfaced in respect to Miami, Florida. Curiously, Nike has just released a Miami Hurricanes T-shirt which states, “Full Speed Ahead”, potentially insinuating that the Miami hurricane terror plot has been officially green-lighted. Aside from hurricane propaganda reports such as “Goodbye, Miami”, a new hurricane text alert system in Florida has just been activated, a security company in Miami has just issued a hurricane checklist, the National Hurricane Center has just released updated hurricane evacuation maps for Miami, and the city of Miami has been suspiciously listed as #2 in the U.S. at risk of a devastating hurricane and #4 in the U.S. as risk for storm surge, despite the fact that no major hurricane has occurred in the state since 2005. With the Obama administration grounding C-130 “Hurricane Hunter” aircraft and NOAA hurricane satellites conveniently failing, 2013 is shaping up to be a very deadly hurricane year, especially for Miami. Realistically speaking, the term “global warming” is just cover for man-made weather attacks which turn once peaceful communities into obliterated war zones. The reality is that billions of gallons of aluminum dioxide and barium salts are being dumped into our atmosphere on a daily basis via cloud seeding and chemtrails yet humanity is supposed to believe that “global warming” is a natural phenomenon caused by greenhouse gasses? Global warming is nothing more than a colossal hoax which essentially gives the government carte blanche to execute bigger and stronger man-made weather attacks while conveniently scapegoating global warming. In the aftermath of man-made weather attacks, the public usually blames God or Mother Nature while the government actually responsible for the disaster gets to step in and play the heroic savior by handing out food, water and shelter to the people fortunate enough not to perish in their cowardly attacks. Coincidentally, on July 21, 2013, it was reported that the CIA has backed a $630,000 study into how to control global weather through geoengineering, also known as man-made weather modification. Although governments would like the public to think that they are trying to figure out how to manipulate the weather, there is a wealth of evidence (see chapter #3) which indicates that they have been creating “natural disasters” using explosives and cloud-seeding for quite a while now. Since the official start of the hurricane season on June 1, 2013, the Atlantic Basin has thus far experienced 3 tropical cyclones which were subsequently named by the National Hurricane Center (see list below). In the event that the Atlantic Basin suffers further tropical cyclones in 2013, they will be labeled according to alphabetic list of 21 predetermined names (i.e., Erin, Fernand, Gabrielle, Humberto, Ingrid, Jerry, Karen, Lorenzo, Melissa, Nestor, Olga, Pablo, Rebekah, Sebastien, Tanya, Van and Wendy). In a potential sign indicating that martial law will be enacted post-hurricane, on November 12, 2012, a report entitled, “Climate Change Triggering National Security Threats”, was published which stated that, “Climate change will likely lead to more frequent extreme weather events as well as droughts and floods, triggering serious social and political disruption that poses a potential threat to U.S. national security”, and that, “…unpredictable weather events are increasingly damaging and could ultimately prove a security risk”. 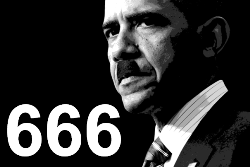 It’s no secret that the Obama administration has been desperately trying to trigger a martial law scenario which would inevitably lead to civil-war; a so called unprecedented “natural disaster” may just do the trick. Propaganda that “global warming” spawned hurricanes will eventually destroy a major U.S. city is getting louder and louder. On November 13, 2012, a report entitled, “Time To Face Global Warming Time Bomb”, was published which stated that climate change is accelerating and that Hurricane Sandy was only Mother Nature’s opening salvo of global warming spawned apocalyptic hurricanes. According to the report which cited a 206 page study by the National Research Council (NRC), the nation’s principal scientific research body, the notion that U.S. coastlines will be targeted with unprecedented global warming events is “no longer idle scientific speculation”. The NRC study warned of “catastrophic over-the-horizon events of much greater magnitude than Sandy‘s destructive impact that left thousands homeless as houses snapped like firewood”. Prior to a major man-made hurricane attack, the academic community must first manufacture the evidence to back up the impending government claim that global warming was in fact responsible. On May 11, 2013, a study entitled, “More Hurricanes To Hit Western Europe Due To Global Warming”, was published. As is usually par for the intelligence community, terror propaganda is disseminated in respect to Europe for terror related events which usually transpire in America at a later date. According to the study, “The rise in Atlantic tropical sea surface temperatures extends eastward the breeding ground of tropical cyclones, yielding more frequent and intense hurricanes…model simulations clearly show that future tropical cyclones are more prone to hit Western Europe, and do so earlier in the season, thereby increasing the frequency and impact of hurricane force winds.” After all, if Europe is at risk of hurricanes, the threat to Florida must be off the charts. Similarly to 2012, the 2013 hurricane season is predicted to be quite deadly with 11 hurricanes. On July 6, 2013, a report entitled, “Some Hurricane Season Factors May Work In Florida’s Favor”, was published which stated that although “Florida usually feels like it’s in the hurricane crosshairs”, a cool northeast Atlantic and a warm tropical Atlantic could possibly steer systems north of Florida, but “don’t let your guard down yet, however”. In respect to the 2013 hurricane season, the National Oceanic and Atmospheric Administration (NOAA) predicted up to 20 named storms, including 11 hurricanes, despite the fact that the average hurricane season only produces 12 storms and 6 hurricanes. According to Stanley Goldenberg, a research meteorologist with NOAA, if the hurricane season ends up being “hyperactive”, the odds of a hurricane striking the U.S. coastline increase “significantly”. The report states that forecasters will know more by early August of 2013 when “the climate factors are there”. In an apparent sign that an unprecedented hurricane is brewing, on July 18, 2013, it was reported that the 2013 hurricane season way behind schedule. According to the report, three named tropical storms have come and gone in the seven weeks since the start of the hurricane season on June 1, 2013, which is far behind schedule compared to predictions. Meteorologist Scott Spratt of the National Weather Service in Melbourne, Florida, stated, “People start to think the forecast is going to be wrong because we haven’t had many storms yet…In a typical year, most storms happen in late August and so on…It’s very quiet right now, but don’t take that as a false sense of security.” Spratt also had a special warning for Floridians who should be prepared this year because the worst is yet to come. In calculated move to limit both aerial coverage and witnesses during a man-made explosive driven hurricane attack, on July 18, 2013, it was reported that federal budget cuts may ground “Hurricane Hunter” aircraft which will deprive forecasters of real-time measurements of storms during 2013 Atlantic hurricane season. Although the National Oceanic and Atmospheric Administration (NOAA) operates some of the modified C-130 “Hurricane Hunters”, most of the planes which gather vital information on the position, strength and direction of hurricanes are flown by the Air Force Reserve’s 53rd Weather Reconnaissance Squadron based out of Biloxi, Mississippi. Brian McNoldy, a senior research associate at the University of Miami’s Rosenstiel School of Marine and Atmospheric Science, stated that, “Not having aircraft data for a storm near land could have a very real and very negative effect on the accuracy of forecasts”. McNoldy stated that he hopes the hurricane specialists at National Hurricane Center (NHC), “never have to make a forecast and issue watches and warnings on a significant tropical cyclone threatening land areas without aircraft reconnaissance”. By defunding the “Hurricane Hunters”, it allows both the media and the public to politically scapegoat President Obama in the aftermath of the hurricane, ultimately drawing attention away from the fact that it was man-made to begin with. In yet another calculated move to give the federal government plausible deniability in the aftermath of an unprecedented hurricane strike, on May 26, 2013, it was reported that the National Oceanic and Atmospheric Administration’s (NOAA) satellite designed to track hurricanes in the U.S. has failed on the eve of the 2013 Atlantic hurricane season. The failed NOAA satellite is fitted with technology that monitors and tracks developing storms over the entire Atlantic seaboard which is then used in determining threats to cities along the U.S. coastline. According to the report, the first sign of trouble with GOES-13 satellite emerged on May 22, 2013, when it failed to relay expected weather images. NOAA announced that a spare satellite had been activated while attempts to fix the failed one continue, but added there was currently “no estimate on its return to operations”. If a second satellite fails, NOAA would operate its remaining satellite to get a full view, but only every half-hour. In the aftermath of a major hurricane strike, the public will naturally be seeking photos, videos and data of the devastating man-made hurricane that would clearly show the man-made attack. However, with C-130 “Hurricane Hunters” grounded and limited satellite coverage, it provides the government with an all too convenient excuse as to why only limited information is being released. A year after the University of Miami adopted the nickname the Miami Hurricanes for their varsity sports teams, the 1926 Miami Hurricane, a Category 4 hurricane, also known as the Great Miami Hurricane, devastated Miami on September 18, 1926. The hurricane was so horrific that it caused 372 fatalities and cost approximately $157 billion in economic damages, ultimately pushing the region into the Great Depression. Roughly 66 years later, the fourth tropical cyclone and the first hurricane of the 1992 Atlantic hurricane season was a Category 5 hurricane entitled Andrew, which hit Miami on August 24, 1992. Hurricane Andrew’s peak winds reached 193 mph (280 km/h) which damaged or destroyed over 730,000 houses and buildings, ultimately leaving more than 1 million without power. The hurricane, which caused no major flooding, cost an estimated $25.3 billion (1992 USD) in damage and caused 44 fatalities across Florida—15 directly from the storm and 29 indirectly. At the time, Hurricane Andrew was the costliest hurricane in the history of the United States. A June 20, 2013, propaganda report by Rolling Stone entitled “Goodbye, Miami”, appears to be the working plan for an unprecedented man-made hurricane striking Miami, Florida. The article begins by depicting a future apocalyptic scenario in which a mythical hurricane named “Milo” strikes Miami in 2030, causing 175-mph winds and a 24-foot storm surge which ultimately takes out a 17-mile stretch of Highway A1A and knocks out Miami’s wastewater-treatment plant, forcing the city to dump hundreds of millions of gallons of raw sewage into Biscayne Bay. The article then suspiciously mentions a “false report” in the wake of Hurricane Milo which states that the nuclear reactor at Turkey Point, just 24 miles south of Miami, had been destroyed by the storm surge, consequently sending up a radioactive cloud over the city. In all, Hurricane Milo causes 800 fatalities, corroded underground wiring, leaving parts of the city dark for months, ultimately bankrupting the state of Florida. Although the report blames “global warming” for Miami’s future demise, a man-made hurricane event of unprecedented proportions will most likely be the reason why Miami ceases to exist in a future scenario. According to “Goodbye, Miami”, the Turkey Point Nuclear Generating Station, which sits on the edge of the Biscayne Bay is completely exposed to hurricanes and rising seas. Philip Stoddard, the mayor of South Miami and an outspoken critic of the nuclear plant reportedly stated that, “It is impossible to imagine a stupider place to build a nuclear plant than Turkey Point”. Although the plant’s nuclear reactor vessels are elevated 20 feet above sea level and precautions have been instituted to protect the nuclear plant from hurricanes, the article begs the question: “How would Turkey Point fare if it were hit with a Hurricane Katrina-size storm surge of 28 feet?” If and when a Milo-like hurricane strike Miami causing a Fukushima like-nuclear disaster at the Turkey Point plant, the entire region will become radioactive and Florida’s $67 billion a year tourism industry will disappear overnight. Rolling Stone’s “Goodbye, Miami” states that 22 million gallons of sewage is created by Miami residents each day which is then pumped out to Miami’s Central District Wastewater (Sewage) Treatment Plant located on Virginia Key in Biscayne Bay. According to the report, “The decrepit old facility, which has been plagued by spills and overflow for a decade, is hugely vulnerable to storm surges and rising tides.” Should a Milo-like hurricane strike Miami, the overflowing sewage will likely be blamed for cause of a global pandemic which is planned for 2013 as sewage and stagnant water will bread disease. The “Goodbye, Miami” article states that, “South Florida is uniquely screwed, in part because about 75 percent of the 5.5 million people in South Florida live along the coast. And unlike many cities, where the wealth congregates in the hills, southern Florida’s most valuable real estate is right on the water”. According to the report, the Organization for Economic Co-operation and Development lists Miami as the number-one most vulnerable city worldwide in terms of property damage, with more than $416 billion in assets at risk to storm-related flooding and sea-level rise. If an when a hurricane takes out Miami, it will not only bankrupt millions of people but the state of Florida as well. Just as President Bill Clinton’s repealing of the Glass–Steagall Act in 1999 conveniently set-up the Financial Crisis of 2008, the state of Florida has been purposely set-up to be bankrupted in the wake of the next major hurricane. The “Goodbye, Miami” article reveals that after Hurricane Andrew hit in Florida in 1992, many large insurers stopped offering property coverage, citing the high risks of hurricane insurance. Consequently, only small regional insurers offered to underwrite hurricane coverage for Floridians. In the event of a Hurricane Andrew type scenario, the small insurance firms would not have the sufficient capital needed to cover the claims they would receive. To remedy the situation, the state of Florida began offering low-cost hurricane insurance under the name Citizens Property Insurance Corporation, now the single largest insurer in the state. In the event of another devastating hurricane, Florida will be on the hook for hundreds billions of dollars. The fact that Florida will not be able to pay this bill not only makes Citizens Property Insurance insolvent, but it will bankrupt both the state and millions of people who are currently paying for what they think is actual hurricane insurance. According to Eli Lehrer, an insurance expert and President of the R Street Institute, a conservative think tank in Washington, D.C., “A single big storm could bankrupt the state”. In another ominous sign that Miami may be the target of another deadly man-made hurricane, propaganda is now programming Floridians for a major hurricane strike in 2013. On July 7, 2013, a report entitled, “Chantal Churns Toward Hispaniola; South Florida Remains At Risk”, was published. Two days later on July 9, 2013, another report entitled, “Tropical Storm Chantal Has Florida In Its Sights” was published. In both of the reports, photos showing Tropical Storm Chantal making landfall on the Florida coast were shown, despite the fact that the tropical storm was 1,000’s of miles away and had not yet developed into a hurricane. According to the text of the latter report, “Tropical Storm Chantal is projected to aim generally toward Florida…It is forecast to move about 130 miles east of Miami…forecast update pushed the track a little closer to Florida…It’s too soon to say whether Chantal might hit the state…it is forecast to make a distinct turn northwest toward the Bahamas and possibly Florida”. The bi-polar hurricane forecast was apparently issued at the behest of the Miami based National Hurricane Center (NHC), who had issued a hurricane warning a day prior. 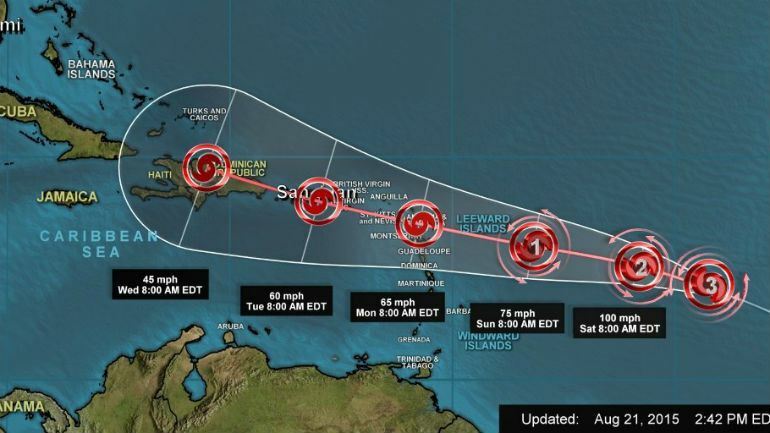 Chantal was only the third named storm of the 2013 Atlantic hurricane season, so this type of fear-mongering weather coverage will likely intensify as the year progresses. In yet another move by the federal government to create plausible deniability in the aftermath of an unprecedented hurricane strike, on July 14, 2013, it was reported that hurricane evacuation maps have been updated for various cities on the Atlantic and Gulf coasts of the U.S. because they are, “heading into what’s expected to be a whopper of a hurricane season”. According to the report, the National Hurricane Center has updated storm-surge information for multiple U.S. cities, including Miami, Florida, to “help guide emergency managers and the public in case a dangerous hurricane approaches and evacuations become necessary”. The new hurricane evacuation zones use information from a recently updated computer model which accounts for larger and slower-moving storms that also assumes that the storm surge will coincide with high tide, a worst-case scenario. According to Curtis Sommerhoff, the director of Miami-Dade County’s emergency management office, “We used to have three zones, with 600,000 people; now we have five zones, with 1.9 million people“. In other words, the evacuation plan for the greater Miami area just quadrupled by 400%, potentially insinuating that the entire area may be destroyed in a man-made hurricane like “event”. Despite the fact that no major hurricane has hit Florida since 2005, on June 5, 2013, a report entitled, “Ten American Cities Hurricanes Could Devastate”, was published which listed Miami, Florida, as the second highest city in the U.S. at risk of a devastating hurricane. According to the report, an estimated $1.1 trillion in U.S. property is at risk of hurricane damage with more than $658 billion of those homes located within just 10 metropolitan areas, five of which are coincidentally in Florida (i.e., #2 Miami, #4 Tampa, #6 Cape Coral, #8 Naples, and #9 Bradenton). The report further states that although a category 5 hurricane is unlikely to hit a major U.S. city in 2013, if Sandy is any indication, it does not take a Category 5 hurricane to cause massive damage. Miami reportedly has 239,910 properties at a value risk of $100.1 billion with more than $42 billion worth of property located in extreme areas, higher than any other metro area except for New York. In yet another sign that Florida is being prepped for a major hurricane, on July 9, 2013, it was reported that a new hurricane text alert system has been developed for Florida residents. According to the report, “My Community Alert” is a Wellington, Florida, based company that now allows home owners associates, community managers and residents to send and receive alerts, bulletins and text messages during a hurricane. “You could describe it as a personal concierge service,” stated Shep Doniger, spokesperson for My Community Alert. Doniger also said that the messages have a better chance of making into the hands of residents because the texts need little cell signal and are small in size. In an apparent move to incite unprecedented panic just prior to and right after a deadly hurricane striking Florida or any other state, on August 28, 2012, it was reported that Google has launched a project entitled “Google Crisis Response” to help out with upcoming hurricanes because “When disaster strikes, people turn to the Internet for information”. According to the report, the Google team has “collaborated with the Red Cross, the Florida Division of Emergency Management, and various government and NGO partners to present emergency storm warnings, alerts of earthquakes and more, including active shelters and the forecast path of the storm.” Curiously, Google’s Crisis Response, “allows for user generated content … warnings and advice, or other relevant information”, ultimately giving the private and government organizations the plausible deniability it needs should their actions lead to the deaths of American citizens. In other words, Google, the Red Cross and the Florida Division of Emergency Management can now purposely publish fraudulent information which may result in a mass panic only to later state that the information was user submitted, thereby alleviating themselves of any legal responsibility whatsoever. Should a major hurricane strike Florida, it will likely set the scene for the global pandemic predicted in the Bio-Terror Bible. In the aftermath of a major so called “natural disaster”, there would be thousands, if not hundreds of thousands of dead, sick, dying and starving Floridians along with billions of gallons of stagnant water and sewage which could spawn an outbreak and subsequent pandemic. As evidenced in the aftermath of the 2010 Haiti Earthquake, various diseases spread throughout the island. According to reports, the earthquake in Haiti allegedly brought back cholera as more than 4,500 Haitians supposedly perished from the disease. Health experts also warned that diseases such as tetanus, gangrene, measles and meningitis could also breakout in Haiti. Interestingly, the source of the cholera according to thousands of Haitians was the U.N., who was blamed for the outbreak. The same U.N. treachery is to be expected in Florida or any other place the United Nations go to “help” out. Coincidentally, on June 18, 2013, it was reported that Florida health officials are urging swimmers to steer clear of stagnant water, which could be home to millions of microscopic killers. According to the Florida Department of Health, “Naegleria Fowleri, an amoeba invisible to the naked eye, loves to lurk in warm, standing water”, which can cause a fatal brain infection if inhaled through the nose. In a move meant to bring unprecedented attention to hurricanes just prior to one striking the U.S., on July 19, 2013, it was reported that NASA will host a Google+ Hangout from several NASA centers on July 23, 2013, as the agency prepares to fly two unmanned aircraft drones over Atlantic Ocean during the 2013 hurricanes season. According to the report, “NASA’s Hurricane and Severe Storm Sentinel, or HS3, mission is a five-year project that first took to the field in 2012 from NASA’s Wallops Flight Facility at Wallops Island, Va. HS3 is investigating the roles of the large-scale environment and storm-scale internal processes in hurricane formation and intensity change in the Atlantic basin”. Whether or not a massive hurricane will begin to form while the Google+ Hangout is “live” and being watched by millions is yet to be determined, but it would be a perfect opportunity. A. Souped-Up Natural Hurricanes: A souped-up hurricane is essentially a naturally occurring tropical cyclone which has been doctored via cloud seeding and other classified weather modification technologies to become an extremely powerful hurricane. The downside in using these types of hurricanes in “natural disaster” attacks is that they are both unpredictable and unreliable simply due to the fact they are hard to spawn, soup-up and guide to their desired location. When these hurricanes make landfall, they generally cause extensive wind damage to houses, boats, trees and any other standing objects. However, as witnessed with Hurricane Andrew in Florida, they typically cause no major flooding and society can move forward and start rebuilding almost immediately. B. Explosive-Driven Tsunami-Like Hurricanes: An explosive driven tsunami-like hurricane occurs when tens of thousands of pounds of explosives are detonated simultaneously in a coordinated effort just a few miles offshore. Subsequently, a wall of water, commonly referred to as the “storm surge”, makes landfall flooding out the entire region as recently witnessed with Hurricane Sandy (see below). Unlike the aforementioned souped-up hurricanes, billions of gallons of displaced water inundate and corrupt almost all standing structures. Until the water recedes, the evacuated residents are left in limbo while disease and mildew infest the area. In other words, tsunami-like hurricanes are massive floods which are rather permanent as opposed to just a passing storm. Although these man-made hurricanes are hyped by the media as being huge and powerful storms, they generally are quiet weak in respect to wind speed. Although hurricane Sandy was only a Category 1 hurricane, it had a storm surge equivalent to a tsunami which flooded parts of New Jersey coast shoulder high and swamped the streets, subways and tunnels of New York City. On July 12, 2013, a report by Live Science featured a study by “Geophysical Research Letters” which stated in respect to Hurricane Sandy that, “statistical analysis estimates that the track of the storm — which took an unusual left-hand turn in the Atlantic before slamming into the East Coast — has an average probability of happening only once every 700 years” and that Sandy’s trajectory and near-direct impact on New Jersey was unprecedented in the historical record as it hit the east coast at an angle of just 17 degrees from perpendicular, almost perfectly crisscrossing the typical storm track. In other words, Hurricane Sandy came directly from the East over cold October water instead of from the South over warm water, completely opposite of naturally occurring hurricane behavior. Interestingly, just prior to Hurricane Sandy making landfall, it was reported on October 26, 2012, that the U.S. Navy had sent 24 naval vessels, including the aircraft carrier USS Harry S. Truman, out to sea. Whether or not the U.S. Navy ships were in fact participating in a coordinated effort to rig military grade explosives off the eastern seaboard is not known, but a few months late on January 1, 2013, it was reported that “Tsunami Bombs” were tested off the coast of New Zealand. 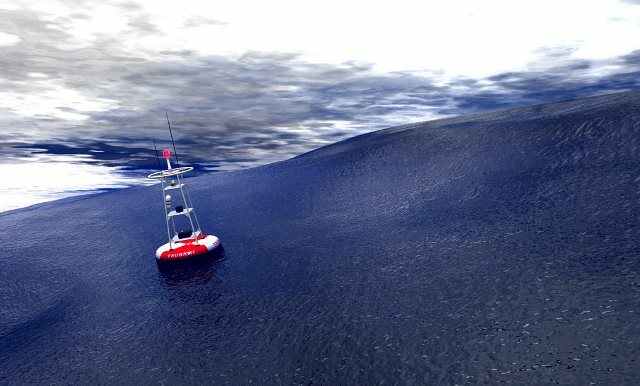 According to the report, the tests, which were carried out in the waters around New Caledonia and Auckland, showed that “Tsunami Bombs” were a feasible WMD in that a series of 10 large offshore blasts could potentially create a 33-foot tsunami capable of inundating a small city. The top secret operation, code-named “Project Seal”, tested out the doomsday device as a possible rival to the nuclear bomb. Although 3,700 bombs were exploded during the tests, experts concluded that single explosions were not powerful enough and that a successful tsunami bomb would require about 2 million kilograms of explosive arrayed in a line about five miles from shore. When all the facts concerning Hurricane Sandy are taken into consideration (i.e., Sandy’s unprecedented landfall pattern, “Tsunami Bomb” technology, and the 24 U.S. Navy ships off the New York and New Jersey coast), it does appear that Hurricane Sandy was in fact a man-made hurricane. Coincidentally, on June 27, 2013, it was reported that a mysterious mine was found by a swimmer just off the coast of Bay Head, New Jersey, roughly 50 miles south of New York City. According to the report, the mine, which was detonated by the U.S. Navy, sent water 100 feet into the air. In yet another example of government spawned “natural disasters”, on July 22, 2013, it was reported that New Zealanders ran screaming from buildings in Wellington on July 21, 2013, when as a magnitude 6.5 earthquake blew out windows and caused part of the city’s port to slide into the sea. According to the report, the earthquake struck at 5:09 p.m. local time and was centered offshore, 57 kilometers (35 miles) south-southwest of the capital city, at a depth of 14 kilometers, according to the U.S. Geological Survey. Coincidentally, on July 21, 2013, the same exact day as the earthquake, it was reported that the U.S. Navy had dropped 4 bombs totaling 4,000 pounds into the sea just off the New Zealand coast. Although the exact location of the incident was changed, which is standard operating procedure for intelligence agencies, the fact that a major earthquake occurred on the same day as 2 tons of aquatic bunker busting-like bombs were reportedly dropped is quite a coincidence, furthering the notion that so called “natural disasters” are anything but natural. If in fact underground or underwater explosives are the root cause of earthquakes and tsunamis, oil and gas drilling operations conducted by multinational corporations would provide the optimal cover needed for these covert operations. Under the term “fracking”, the National Research Council admitted as much on June 15, 2012, when it was reported that certain oil and gas operations can result in earthquakes. The report was quick to point out that the risk of earthquakes from hydraulic fracturing is generally low and that “fracking” was only found to have caused very small quakes of a 2.3 and 1.5 magnitude. Only a month later on March 26, 2013, it was reported that a team of scientists had determined that the 5.6 magnitude earthquake in Prague, Oklahoma, on November 6, 2011, was man-made as a result of “oil drilling waste [that] was injected deep underground”. These oil and gas drilling operations could easily enable the strategic placement of large amounts of explosive far beneath the earth’s surface which can then be detonated at a later date via remote control. Based on these recent revelations, it appears that “fracking” is the political cover for man-made “black ops” earthquake operations. David Chase Taylor, the editor-in-chief of Truther.org, is an American journalist living in Zürich, Switzerland where he has applied for political asylum since the release of The Nuclear Bible, a book credited with foiling a false-flag/state-sponsored nuclear terror attack upon America in Dallas, Texas on February 6, 2011. Taylor has also released The Bio-Terror Bible, a website exposing the coming global bio-terror pandemic. Taylor has also been credited with exposing numerous terror plots including the 2012 DNC Terror Plot and the “Twilight” Premier Terror Plot, as well as the Alex Jones links to STRATFOR. Is Jamaica The Next Haiti? SWITZERLAND, Zurich — As Jamaica basks in the Olympic glow of unprecedented wins by their track and field stars, namely Freemason Usain Bolt’s gold in the 100 and 200 meter sprints, Yohan Blake’s silver in the 100 and 200 meter sprints, a clean medal sweep of the 200 meter final and gold in the 4×100 men’s relay, the small island of Jamaica is once again front and center in the minds of billions for the first time since the death of Jamaican superstar Bob Marley in 1981. Jamaica is currently most famous for being the birthplace of Marley, reggae music and the world’s fastest men, but that may all be coming to an abrupt end. Based on recent global events, news and propaganda surrounding the island of Jamaica, there is growing concern that Jamaica may be targeted in a false-flag weather attack that may eventually be dubbed the “9/11 of global warming”. Should a future “natural disaster” in the form of an earthquake or hurricane strike Jamaica, the aftermath of the tragedy could domino into the global pandemic which has been planned for 2012. On Sunday, August 5, 2012, the exact same day that Usain Bolt won Olympic gold in the globally televised 100 meter sprint, two very odd yet related weather events took place: The first event occurred in the Caribbean where Tropical Storm Ernesto barely missed the island of Jamaica in a strange sign that the island may be doomed. The second event occurred at Pocono Raceway in Pennsylvania, where a lightning bolt killed a man at a NASCAR race. While constructing and directing lightning bolts to kill may seem like science fiction to most, the U.S. military has openly bragged about their newfound lightning strike capabilities ever since June of 2012. As any honest statistician would likely conclude, these two allegedly random events, involving both Jamaica and a killer lightning bolt, occurring on the exact same day as a Jamaican with the name of Bolt is dubbed the fastest man and Olympic champion, is, well, unfathomable and the odds would likely range somewhere near 1 in impossible. Unless of course, the weather is secretly being controlled and manipulated (see below), then the odds of these two events occurring on the same day begins to become quite manageable. According to reports, Jamaica will cut ties with the British monarchy and declare itself an independent republic. Speaking at her inaugural address, Jamaican Prime Minister Portia Simpson Miller, said her government would, “initiate the process of detachment from the monarchy”, establishing a republic with a president as head of state, and breaking off links with the former colonial power. Miller went on to say, “I love the Queen. She’s a beautiful lady and apart from being a beautiful lady a wise lady and a wonderful lady. But I think time come”. Under Jamaica’s current constitution, England’s Queen Elizabeth II is the head of state, and the prime minister is formally appointed by the governor-general, who represents the queen. A convenient and timely “natural disaster” in Jamaica would likely see the return of British rule and would also serve as a motive for a weather related attack. July 2012 was allegedly the hottest month on record according to NOAA (National Oceanic Atmospheric Administration) which stated that, “In more than 117 years of records, July 2012 stands alone as not only the hottest July on record in the lower 48 United States, but also the hottest of any month on record in that time span. To put it another way, July 2012 was the hottest of more than 1,400 months that we’ve gone through since 1895.” Whether or not NOAA’s historic statements are indeed rooted in fact is secondary, for these findings will no doubt be used as propaganda to scapegoat man-made global warming as the cause of future Caribbean hurricanes and weather tragedies worldwide, regardless of the current weather modification technologies that are currently being utilized. In other words, the world is being groomed for a man-made global warming 9/11 type of event. Should Jamaica suffer a fate similar to that of Hurricane Katrina, it will most likely occur during hurricane season which lasts from June 1, 2012 until November 30, 2012. While it is hard to predict anything, especially the weather, it appears that Jamaica has a bullseye on her back the size of HAARP (see below). A devastating Jamaican hurricane or earthquake would not only play into the global warming narrative, but easily could play into the whole 2012 Doomsday scenario, especially if an outbreak of disease begins to spread off the island. Regardless of what type of “natural disasters” strike Jamaica or any other place, in the aftermath of the tragedy, humanity can always count on the U.S. government’s propaganda machine to show how much they care. While propagating the notion that they actually care by handing out food, water and medical supplies, the U.S. military would somehow like everyone to forget about the millions upon millions of the 3rd World citizens which have been systematically slaughtered via U.S. wars, trade embargoes and tainted vaccines since the end of World War II. On June 1, 2012, the first day of the 2012 Atlantic Hurricane Season, the Office of Disaster Preparedness and Emergency Management (ODPEM) kicked off their “Disaster Preparedness Month” with the theme ‘Embrace Climate Change Realities… Build Disaster Resilient Communities’. The month long event consisted of more than 30 events throughout Jamaica including numerous events surrounding climate change, global warming and disaster preparedness including but not limited to: press conferences, presentations, church services, the mass publishing of disaster preparedness propaganda, the erection of climate “awareness booths”, school programs under the theme, “Prevent disruption and think disaster risk reduction……Do your part….. Be climate smart! !”, the reactivation of “Community Disaster Risk Management Committee (formerly Zonal)”, a “Climate Change Workshop and Expo”, a “Parish Disaster Committee Expo”, a “Private Sector Luncheon and Expo”, an “Emergency Operations Sub-Committee meeting”, an “Initial Damage Assessment (IDA) Training seminar”, a Town Hall forum to “Talk about Disaster Preparedness”, a Shelter Manager’s Training seminar, a “Community Simulation Exercise, Test SOP for Shelter Activation”, a “Disaster Preparedness Day for Schools” and a disaster “Broadcast” on local Jamaican television cable. In June of 2012, while addressing members of the National Disaster Preparedness Committee at Jamaica House, Jamaican Prime Minister Portia Simpson Miller stated that disaster-risk management are essential components in Jamaica. She went on to add that Jamaica’s recent economic loss is “attributed to floods and storms alone, and with so many other disasters that strike, this sum is considerable greater, impacting on our prospects for meaningful development”. The prime minister called on Jamaicans to assist in strengthening their communities to become disaster resilient, to take measures to manage disaster risks, urged Jamaican communities to take care of their infrastructure and asked citizens to avoid building homes in areas close to gullies or on land that is prone to slippage or flooding. In June of 2012, Evan Thompson, a meteorologist from the Meteorologist Centre, stated that global warming could have many negative effects on Jamaica during the 2012 hurricane season. “The temperatures have been increasing globally, not just in Jamaica, and there are some things that we could have seen already this year that would give us an indication of what we should expect,” Thompson stated. “Already, we are seeing that prior to the [hurricane] season, we have developments that are actually conducive [for hurricanes] before the first of June. The heat is very much upon us …We can see that we are starting to get some of the effects of climate change,” he added. The Meteorological Service of Jamaica (Met Service) is reporting that activity over the 6 month 2012 hurricane season is expected to be average to below average, or quite significant. Speaking at a press conference at the headquarters of the Office of Disaster Preparedness and Emergency Management (ODPEM) in New Kingston, Jamaica a press conference to launch “Disaster Preparedness Month”, Acting Director of the Met Service, Jeffrey Spooner, stated that “The possibility exists that we could be impacted and impacted significantly. One system can cause severe hardship, significant loss of life, which doesn’t necessarily have to be a hurricane, it could be a storm (or) tropical disturbance”. Disaster Preparedness Month is being observed under the theme: ‘Embrace Climate Change Realities… Build Disaster Resilient Communities’. According to reports, Jamaica could be hit by as many as 11 storms this year amidst predictions for a less than active Atlantic Hurricane Season. Scientists are forecasting up to 15 named storms, three of which could become major hurricanes. Already two storms entitled Alberto and Beryl have formed outside the official 2012 hurricane season. “We cannot become complacent. Today (yesterday) marks the official start of the hurricane season and we have gone two named storms so far”, explained Jeffrey Spooner, acting head of the National Meteorological Service. It has now been confirmed that the Canadian oil and gas exploration company, Sagres, will now begin the process of drilling for oil in Jamaica come 2013. After an orchestrated national tragedy such as an earthquake or hurricane, Sagres will be able to reap unlimited oil profits with little or no compensation or resistance from the Jamaican people. While specifics of the oil contracts have not been disclosed, the energy minister of Jamaica has stated that the deal is a production sharing agreement whereby the government will receive a certain percent of the oil and that there would be no financial burden to the Jamaican people. In March of 2012, Prince Harry brought international attention to Jamaica when he participated in live-fire military exercises and drills on the Caribbean island. Roughly three months later, a major military exercise entitled “Tradewinds 2012” also occurred in the Caribbean between June 14th and 24th of 2012. U.S. Southern Command (SOUTHCOM) sponsored a 10 day military exercises held in Barbados which was aimed at “improving cooperation and security” in the Caribbean basin. A total of 16 nations participated in the exercises including Antigua and Barbuda, Barbados (host nation), Bahamas, Belize, Canada, Dominica, Dominican Republic, Grenada, Guyana, Haiti, Jamaica, St. Kitts and Nevis, St. Lucia, St. Vincent and the Grenadines, Suriname, Trinidad and Tobago, and the United States. The exercise focused on conducting joint, combined and interagency training, increasing regional cooperation in countering transnational organized crime, conducting interoperability training for multinational staffs, building the capability to plan and execute complex multinational security operations and of course supporting humanitarian assistance/disaster response. If a national tragedy such as a hurricane or earthquake hits Jamaica, the United States, Canada and most Caribbean nations will already be trained and ready to respond. In January of 2010, exactly one day before the massive Haiti earthquake struck which killed at least 316,000 Haitians, injured 300,000 and left 1,000,000 homeless, the U.S. military’s SOUTHCOM (Southern Command) in Miami, Florida, was preparing a test of their new emergency system in a massive drill scenario that involved providing relief to Haiti in the wake of a hurricane. As luck would have it, the SOUTHCOM drill went live the next day a Haiti was literally flattened in a matter of seconds. 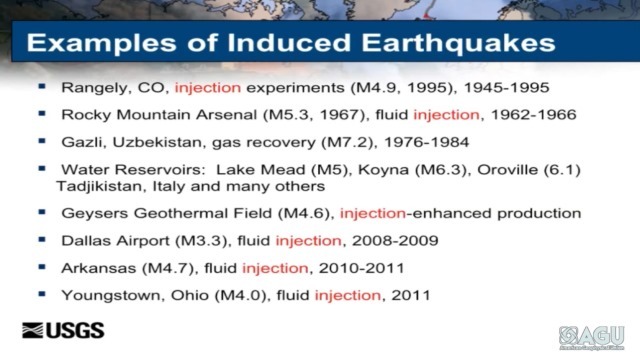 While many people would chalk up the timing of the U.S. military drill coinciding with the earthquake as just random chance, it appears that the earthquake was a manufactured event using the latest known and unknown weather modification technologies (see below). Should a “natural disaster” strike Jamaican, it will likely set the scene for the global pandemic predicted and depicted in the Bio-Terror Bible, which specifically states that an island could be used as the initial staging ground for a global pandemic. In the aftermath of a major disaster, there would be thousands, if not hundreds of thousands of dead, sick, dying and starving Jamaicans which would obviously be scapegoated as the source of the pandemic. As evidenced during the 2010 Haiti Earthquake, various diseases, whether naturally occurring or U.N. brought, spread throughout Haiti. According to reports, the earthquake in Haiti allegedly brought back cholera as more than 4,500 Haitians supposedly perished from the disease. Health experts also warned that diseases such as tetanus, gangrene, measles and meningitis could also breakout in Haiti. Interestingly, the source of the cholera according to thousands of Haitians was the U.N., who was blamed for the outbreak. The same U.N. treachery is to be expected in Jamaica or any other place the United Nations go to “help” out. Despite Bob Marley passing away on May 11, 1981, there has never been a mainstream documentary or movie made about Marley in over 30 years. That all changed in 2012 when a documentary about Bob Marley’s life entitled “Marley” was released by noted political film director Kevin MacDonald. “Marley” premiered internationally in theatres on April 20, 2012, but questions linger about the motivation and timing behind the film: Why now? Why 2012? With the DVD being released on August 7, 2012, more people than ever will now be exposed to Bob Marley and his native Jamaica. Should anything tragic happen to the tiny Caribbean island, hundreds of millions of people worldwide will now have a personal and intimate connection to the tragedy. On the heels of “Marley” movie comes the suspicious and odd transformation of gangster rapper Snoop Dogg into reggae wannabe “Snoop Lion”. Coincidentally, Snoop’s alleged spiritual transformation from rap to reggae just happened to include a full camera crew which documented Snoop’s journey to Jamaica and the recording of his new album. Snoop’s new film entitled “Reincarnated” will premier August 21, 2012, at the Toronto International Film Festival. Aside from Snoop’s alleged spiritual transformation being laughable at best, the timing of his trip to Jamaica, his new album and new movie again begs the questions: Why now? Why 2012? Unbeknownst to most people, weather modification and geo-engineering are a more recent scientific phenomenon in which the weather (e.g. hurricanes, tsunamis, earthquakes, tornadoes, etc. ) are ultimately created, changed or controlled by entities such as HAARP (High Frequency Active Auroral Research Program), cloud seeding, chemtrails and other classified weather modification technologies. Essentially, weather modification techniques allow for the origination, strengthening and control of massive weather systems, specifically tropical storms and hurricanes. In April of 1997, U.S. Secretary of Defense William S. Cohen stated that governments “are engaging… in an eco-type of terrorism whereby they can alter the climate, set off earthquakes, volcanoes remotely through the use of electromagnetic waves.” Secretary Cohen made the comments in 1997 at a conference on Terrorism, WMDs and U.S. Strategy in his official capacity as the acting U.S. Secretary of Defense. According to Wikipedia, “the High Frequency Active Auroral Research Program (HAARP) is an ionospheric research program jointly funded by the U.S. Air Force, the U.S. Navy, the University of Alaska, and the Defense Advanced Research Projects Agency (DARPA).” What Wikipedia fails to mention is that HAARP, as documented in this video, can be used as a weapon to guide weather systems and cause earthquakes. While HAARP gets credit from many conspiracy theorists for the 2011 Japanese earthquake and tsunami, it is more likely that an underwater nuclear weapon was used to lift up the sea just off the Japanese coast which ultimately caused unprecedented destruction and death. Suspiciously, the Japanese earthquake, tsunami and nuclear incident came exactly 33 days after the failed nuclear terror attack at Super Bowl XLV in Dallas, Texas, on February 6, 2011. Although Wikipedia and most governments around the world still openly deny their existence, chemtrails have been discussed in government documents and various media propaganda for quite some time. Chemtrails, dispersed from military aircraft and drones, consists of “stratospheric aerosols” which add millions of tons of deadly aluminum, barium, strontium, polymers, and other substances to our atmosphere. Aside from poisoning humans, animals and the environment, chemtrails block out sunlight and dries out the atmosphere which can lead to extreme weather and storms. According to the bill text of H.R.2977.IH, drafted by the 107th Congress during their 2001-2002 sessions, “chemtrails” are referred to as “exotic weapons systems” to be used in “space”, meaning “all space extending upward from an altitude greater than 60 kilometers above the surface of the earth”. A great 2010 documentary entitled “What In The World Are They Spraying” documents the chemtrail phenomenon, which gives new meaning to the term “climate change”. Cloud seeding is the process by which governments change the amount or type of precipitation that falls from clouds in a specific area or region. This is done by dispersing substances (chemtrails) into the air via airplanes and drones that serve as cloud condensation or ice nuclei, which alter the microphysical processes within the cloud. The general intent of cloud seeding is to increase or decrease precipitation as was evidenced during the 2008 Beijing Olympics whereby the Chinese government admitted to trying to control the weather. While China is the most famous case to date, the act of chemtrailing, also known as cloud seeding, is an everyday occurrence in North America, South America, Europe, Africa, Asia and Australia. In the calendar year of 2012 alone, Jamaica has been front and center in the 2012 London Olympics, been the focus of two mainstream films featuring music icons Bob Marley and Snoop Dogg, has suffered a tropical storm entitled “Ernesto”, and numerous Jamaicans including the Prime Minister, a revered pastor, and multiple weather agencies have issued unusual hurricane warnings. Are all these events just sheer coincidence or are they all happening for a more sinister reason? 1. Weather modification is now possible and a stark reality in 2012. 2. Jamaica is currently front and center in consciousness of billions worldwide. 3. U.S. President Barack Obama needs an “event” in order to grandstand prior to the 2012 election. 4. Global warming proponents desperately need a “9/11 of global warming”. 5. 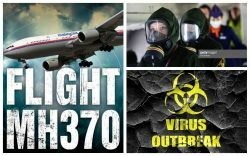 A 2012 global pandemic is planned and Jamaica may be the target location. While only time will tell, an unprecedented earthquake or hurricane devastating the island of Jamaica would most likely directly affect the United States, namely Florida, which is only about 180 miles north of Jamaica. Should an alleged outbreak of disease occur in Jamaica, there is little doubt that it will make its way back to Florida via a cruise ship, aid worker or tourist. In the aftermath of a major “natural disaster”, Jamaica would forever be known for tragedy and disease, ultimately diminishing and besmirching the legacy of one Robert Nesta Marely. As Marley’s “Survival” album plays in the background, that obviously cannot be allowed to happen. David Chase Taylor is an American journalist living in Zurich, Switzerland, where he has applied for political asylum after the release of his first book entitled The Nuclear Bible. In May of 2012, Taylor released The Bio-Terror Bible, which exposes the coming global bio-terror pandemic. Taylor has also revealed the future assassination of Barack Obama by the Israeli Mossad, NATO’s implementation of the SKYNET Terminator Program, as well as the Alex Jones links to STRATFOR.